Rakhi on a promotional tour to up her political image. 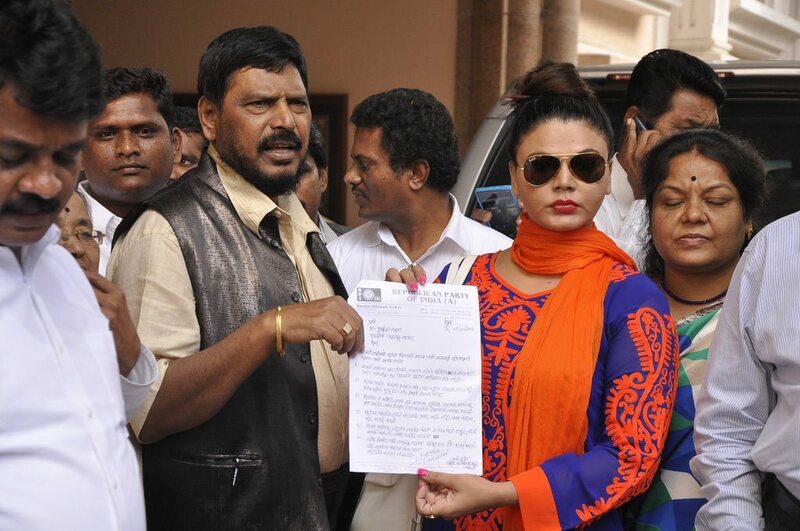 Bollywood siren Rakhi Sawant was spotted promoting her political party at Mahalaxmi in Mumbai on July 1, 2014. 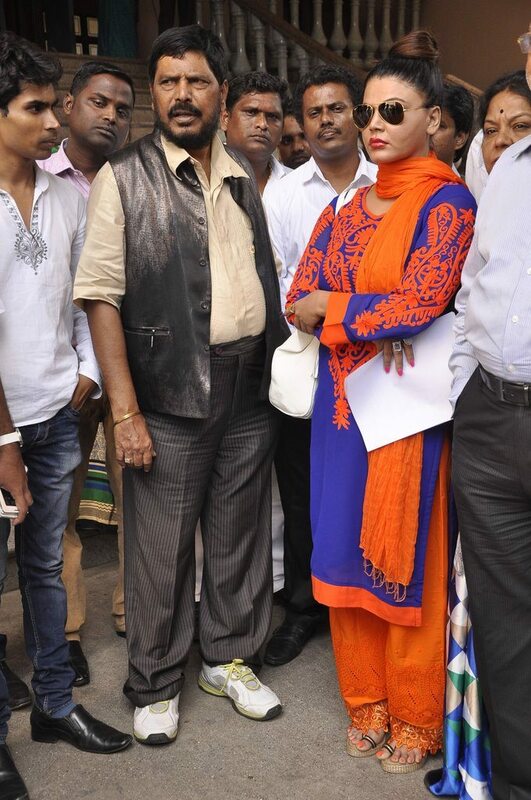 Rakhi who is more famously known as the ultimate item girl of Bollywood, was in an Indian outfit to fit the political mood and promote her party. Rakhi in May 2014, created her own party and ventured the 2014 Lok Sabha polls. 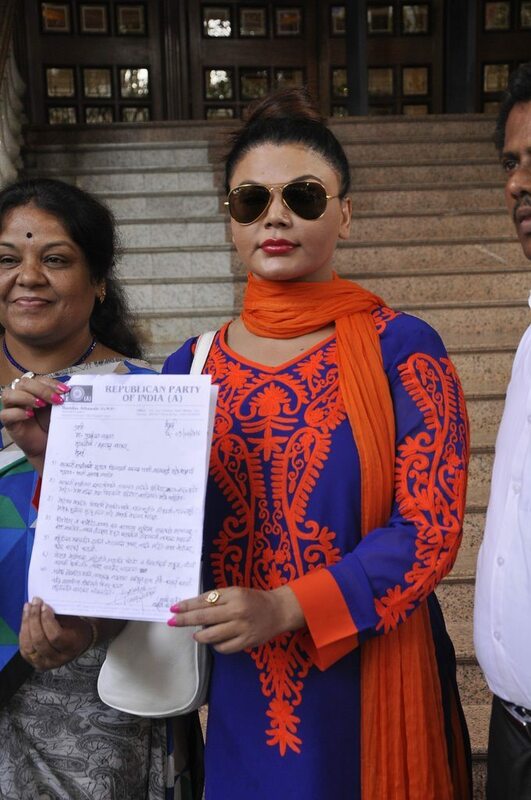 Her performance on the political front didn’t get as many takers, however, Rakhi is not disheartened and is now attempting a second innings by joining the Republican Party of India. Controversies’ favorite child, Rakhi has never had a dull moment in her showbizz career, from infamous statements to unsavory media publicity, the not so young starlet has done it all. Rakhi was recently snapped promoting the Marathi movie ‘Jayjaykar’.